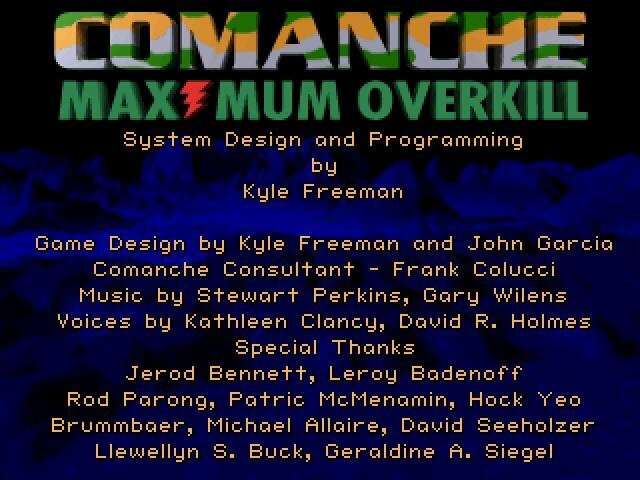 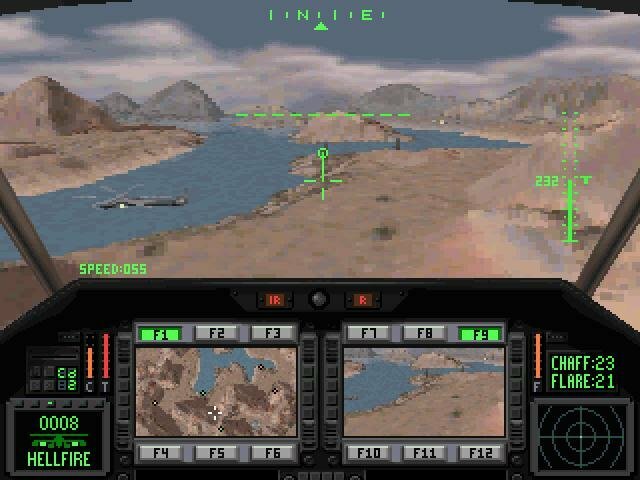 While some have complained of the arcade-ish aspects of Comanche: Maximum Overkill (a trend that would be both a blessing and a curse in Novalogic flight sims), the game itself does score high where it most counts – it’s fun. 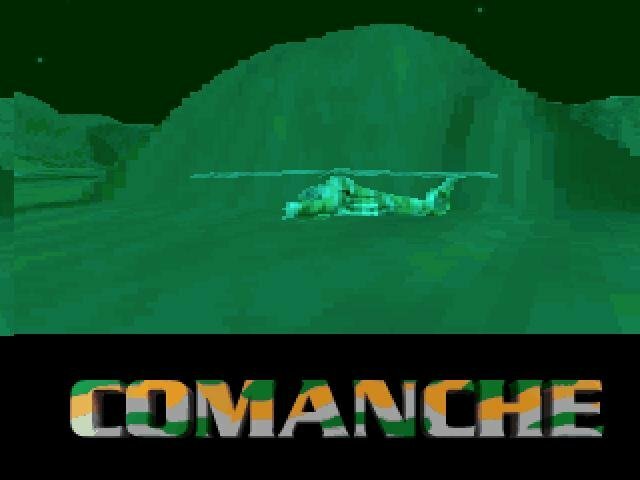 Comanche strikes a good balance between approachable action and simulation, and thus proves persistently inviting. 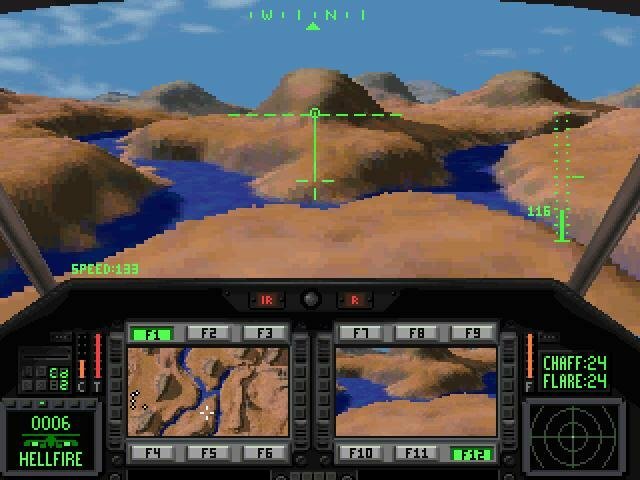 The 3D, voxel-powered terrain is radically more realistic than in other flight sims from the same time, and the novel dual-joystick control of the helicopter provides the means to use that realistic terrain for defensive cover, while hovering from location to location. 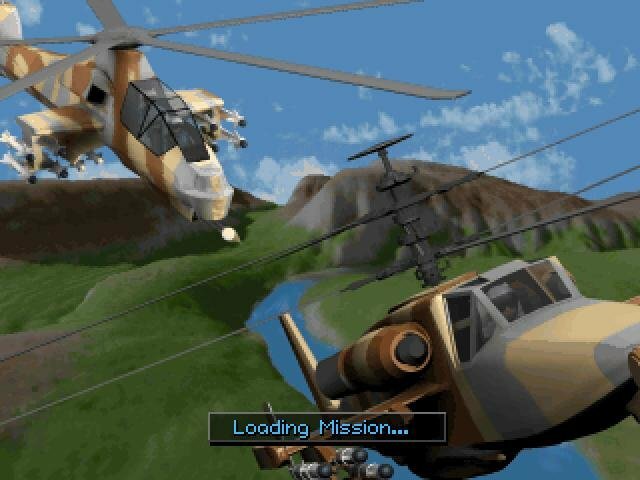 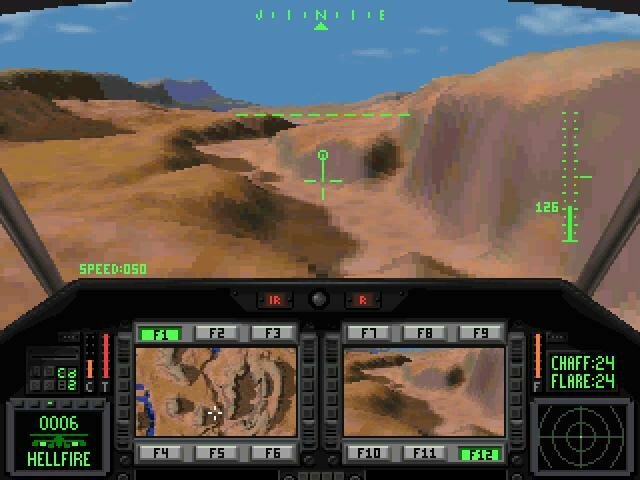 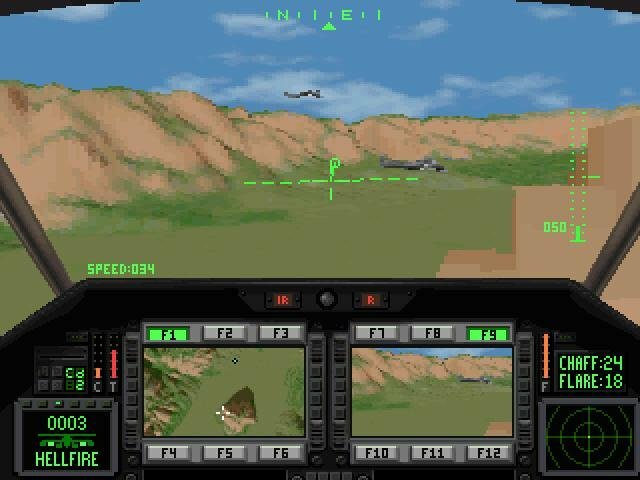 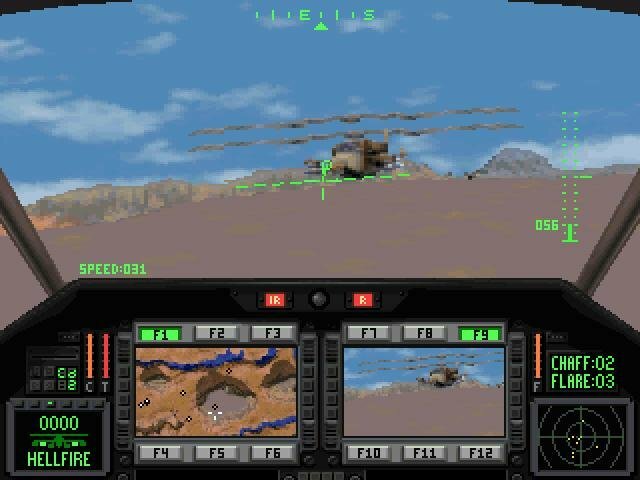 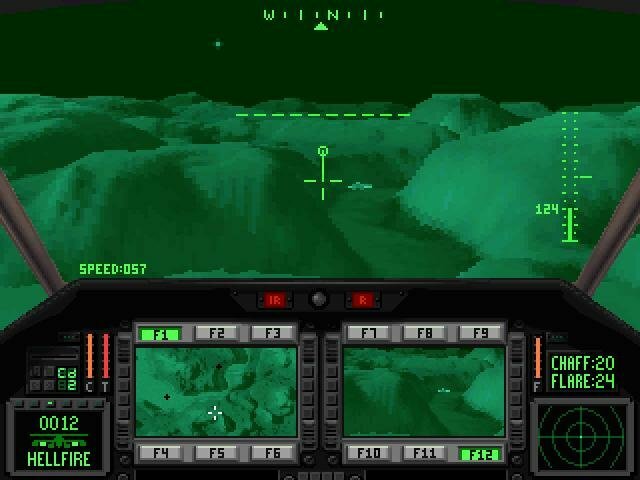 Along with all this, the artificial intelligence running the opponent forces is good enough to provide some believable behavior from air and land units, both prior to the player’s arrival (they follow designated patrol points) and after the attack (they become alert and try to hunt you down). 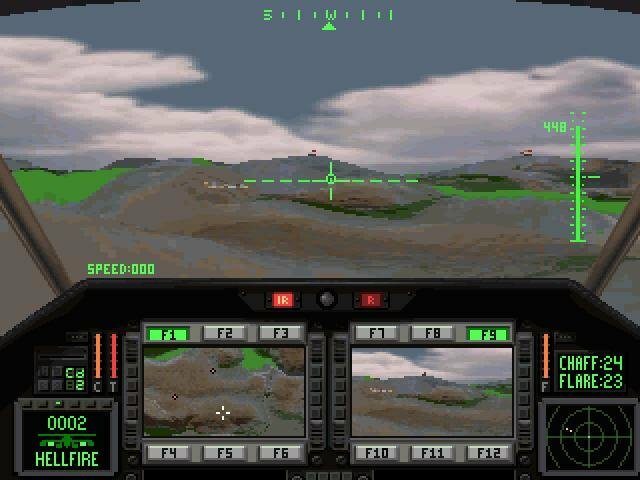 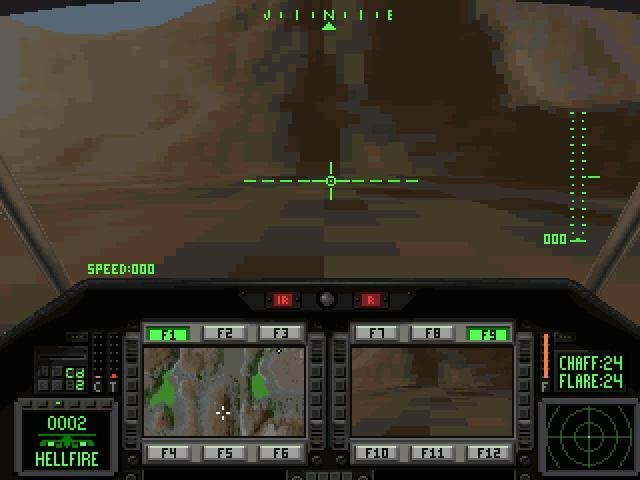 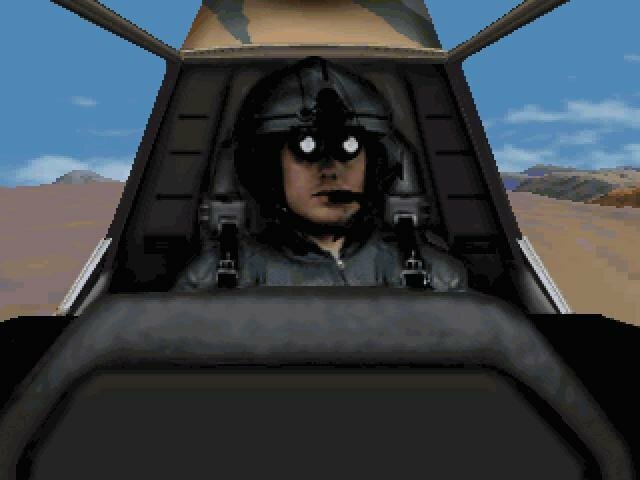 Because it has broken new ground with these moves, Comanche is likely the best flight sim of 1992, surpassed only by Aces of the Pacific. 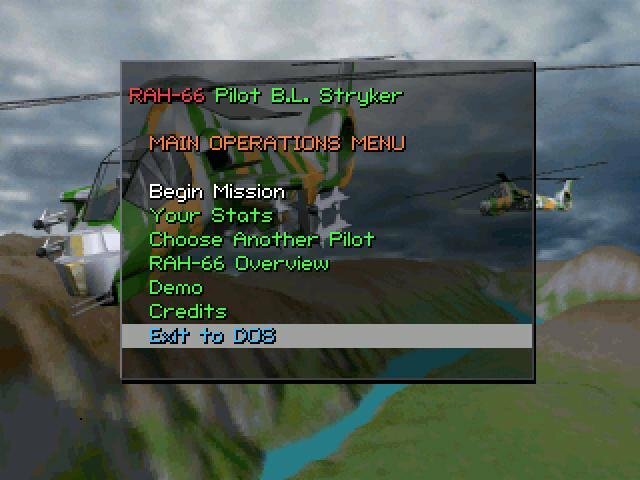 And to its credit, it did spawn a semi-succesful line of flight sims that spanned more than a decade. 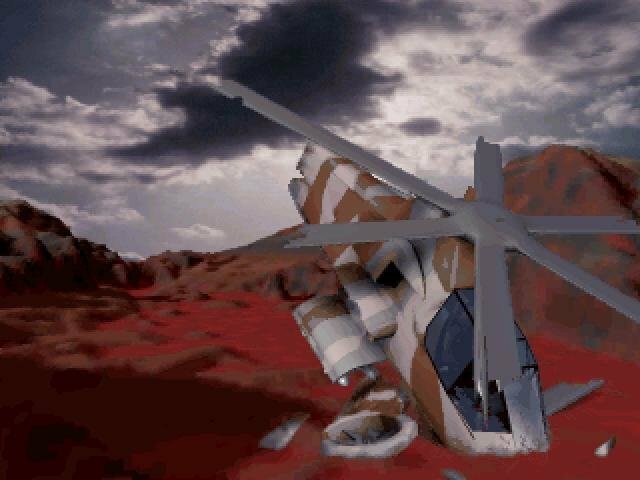 Good on you, Novalogic.